This Website is currently undergoing Quality-assurance testing. Therefore data & content are subject to change. At this time only company employees can create an account for testing purposes. Full Terms & conditions will be stipulated prior to launch. If you do successfully create an account, it is likely that data may be lost during data cleansing before launch. Your password has been reset. YOU CAN NOW LOGIN. Thank you for confirming your email. YOU MAY NOW LOGIN. 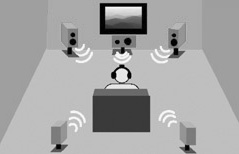 Complete your experience with Auditory Immersion. Get the most out of your Realiser® - upload, share, purchase, download and personalize a range of high quality sound rooms.